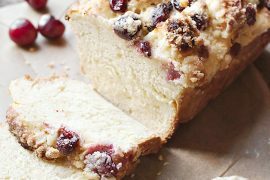 A delicious, monkey-style bread, this Glazed Cinnamon Raisin Bread Ring is perfect for breakfast, brunch or with your afternoon tea. 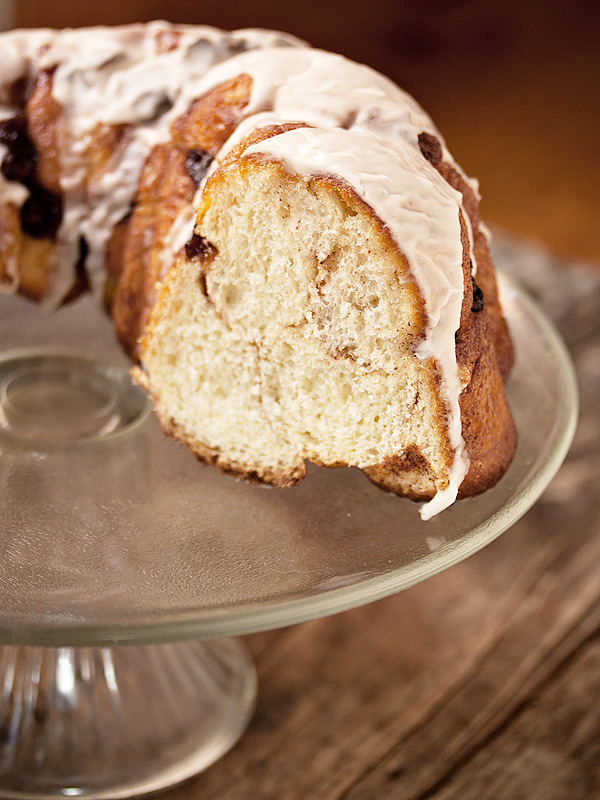 This Glazed Cinnamon Raisin Bread ring is made easily “monkey bread” style. 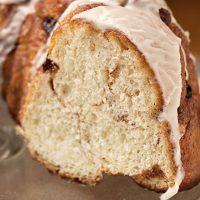 The chunks of dough are tossed in brown sugar and cinnamon and then baked in a bundt pan, so the sugar and cinnamon weaves it’s way through the bread. 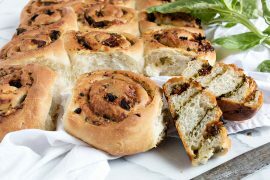 You can bake this bread up right away after rising, or let it rise over-night in the fridge and bake it up in the morning, for warm cinnamon goodness to start your day. If you’d like to enjoy this one warm in the morning, let it rise overnight fridge and bake fresh in the morning. I added an icing sugar glaze to my bread ring. 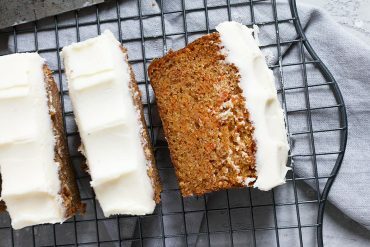 I am always torn because the icing means the bread can’t be toasted, but I love the bit of sweet on top and I can always give it 10 seconds in the microwave to warm a slice instead of toasting. Love Cinnamon? 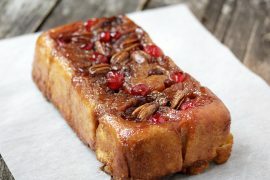 Here are a few more cinnamon recipes from the Seasons & Suppers archives. 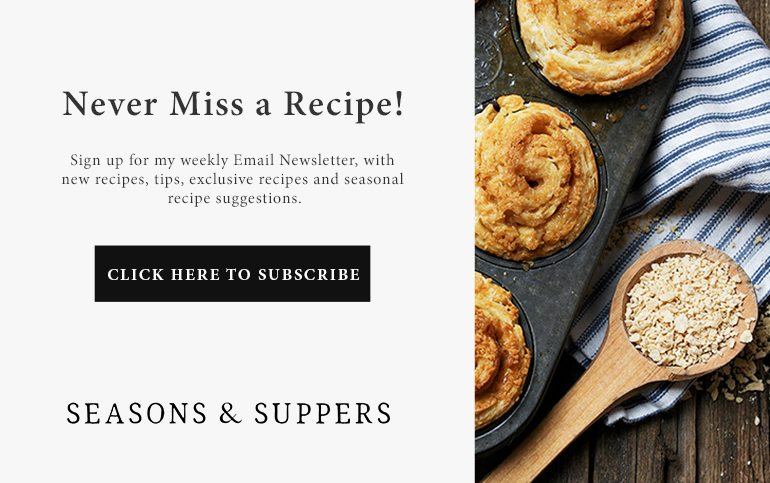 Cinnamon Roll Ragamuffins, Easy Cinnamon Roll Coffee Cake or Cinnamon Raisin Swirl Bread. This bread both pretty and tasty. 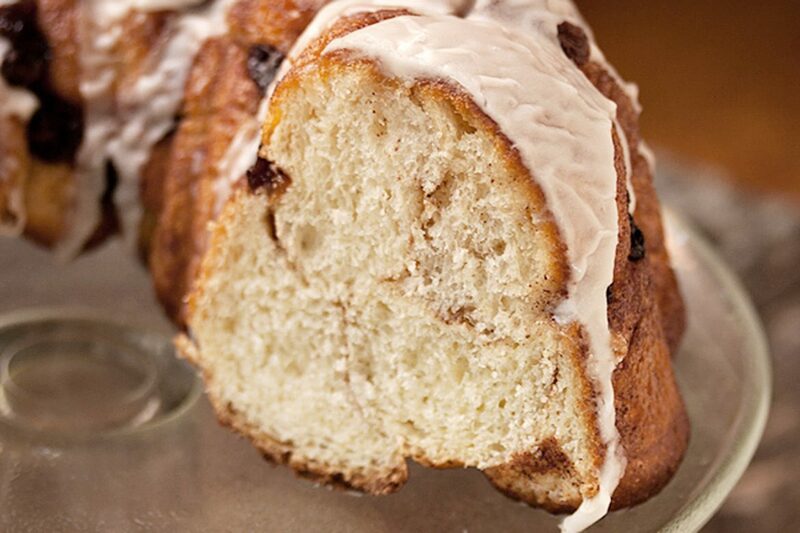 The bread dough is chopped up (monkey bread style), tossed in brown sugar and cinnamon and then baked in a bundt pan. It's great for Sunday breakfast or afternoon tea or would be perfect for a special occasion buffet table. I like the bit of sweet from the icing but it is optional. In a small saucepan, combine the milk and honey and warm, over medium heat until the mixture reaches 100 to 110° F. Add the yeast and stir. Allow to stand for 5-10 minutes. In a large bowl or the bowl of a stand mixer, combine the flour, butter, egg and salt. Add the milk/yeast mixture and with a dough hook at low speed, mix dough until a ball forms. Increase the mixer speed to medium and continue kneading until the dough comes together into a smooth ball, about 8-10 minutes (*Note, this is a moist dough. You can add a bit more flour if needed but resist the urge to add too much more. It will come together as the kneading continues). Oil a large bowl and place the dough into the bowl to rise. Cover with plastic wrap and place in the refrigerator to rise overnight OR let sit at room temperature until dough has doubled, about 1 hour. When dough is just about finished rising, combine the butter, raisins, cinnamon and brown sugar in a large bowl. Grease a bundt pan. Once dough is risen, turn out onto a floured surface and press down into a rectangle. Using a bench scraper or a sharp knife, cut the dough into 1 1/2-inch pieces. Place the dough bits into the large bowl with the cinnamon mixture and toss well to coat each piece of dough. Add the coated dough and any remaining bits into the prepared bundt pan. Cover with plastic wrap and let sit at room temperature until doubled, about 1 hour (or longer, if you're starting with dough that has been in the refrigerator overnight). 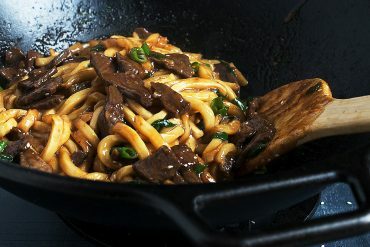 Preheat oven to 375° F. Place the pan in the centre of the oven and bake, uncovered for 30-35 minutes or until crust is dark brown and crispy. Immediate remove the bread from the pan and cool on a wire rack. 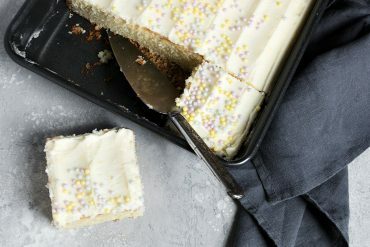 Prepare icing by combining icing sugar, milk and vanilla and stirring until smooth. 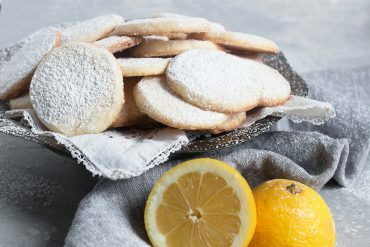 (Add more milk or icing sugar as needed to get a consistency that will easily drop off a spoon). 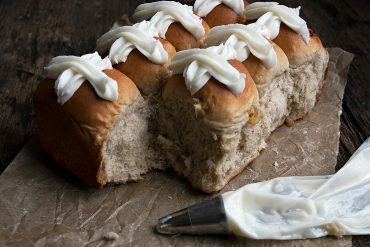 Once bread is cool, place a piece or waxed or parchment paper under the cooking rack and spoon the icing over the top, allowing it to spill down the sides. Allow to sit until the icing sets. Slice and enjoy with a bit of butter or re-warm a slice, in the microwave for 10 seconds or so. Thanks Jesica. I’ll definitely be making this bread again.